Reliable transportation is essential. When you need new tires or automotive services for worry-free driving, go to Mir's AutoWorks. We're conveniently located at 1775 S. US Highway 17/92 in Longwood, Florida. Founded in 2003 by Mir Moghaddam, we've been providing superior service to Longwood, FL, Sanford, FL, Winter Park, FL, and surrounding communities for over a decade. We offer complete auto repair service, from brake repair to diesel engine repair. Need new tires for your car, light truck, or SUV? We carry the best tire brands like MICHELIN®, BFGoodrich®, Cooper and Goodyear. All our technicians are ASE-certified with years of experience in the automotive industry. In addition, they are customer service experts who are happy to answer questions on automotive repairs and preventive maintenance. Call (407) 695-6477 or contact us online anytime. We're open Monday through Friday 7:30 am to 6:00 pm. Come to Mir's AutoWorks and experience superior car care and customer service! What you can expect from Mir's AutoWorks! Mir's AutoWorks is your headquarters for tires and automotive repairs in Longwood, FL. We offer passenger tires, custom wheels, auto repair, and regular maintenance services for the Longwood, Florida community and surrounding areas. 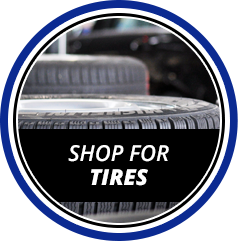 Shop favorite tire brands like MICHELIN®, BFGoodrich®, Cooper, Goodyear, and more online anytime. Mir's AutoWorks Inc. employs ASE-certified technicians for vehicle repair and preventive maintenance. Visit us for oil changes, brake repairs, shock and strut replacement, wheel alignment, transmission fluid flushes, and more. We service foreign and domestic vehicles. Thanks for visiting the Mir's AutoWorks website. Call our store today for personalized service.